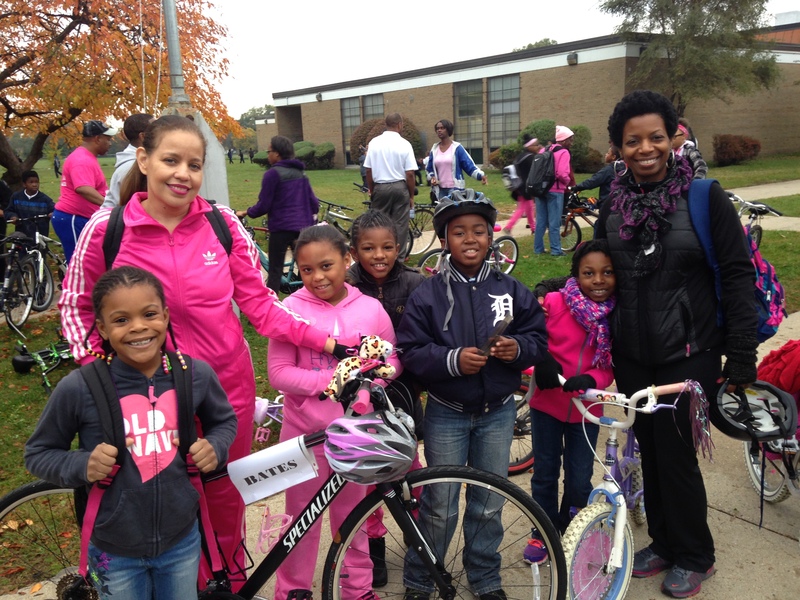 Students, staff and community members will take part in Bates Academy’s annual Ride Your Bike to School Day on Wednesday, October 14, in support of Breast Cancer Awareness. Bates has deemed the special day “Ride, Walk, Stroll to Bates Academy” and is welcoming surrounding community members to take part by bike, foot or vehicle to advocate student safety. Students may wear pink, Bates gear, or enjoy a free dress day. Members of Bates’ Parent Advisory Council on Student Achievement (PACSA) and Principal Cleo Moody will also take part in the event by riding alongside students. Bates’ parents and staff agree that physical fitness has a positive effect on a child’s ability to concentrate, reduces stress, improves cognitive function, and leads to an overall increase in student achievement. Bikers: Meet at Bates Academy to ride around school grounds. Students: Please bring a bike, helmet and bike lock. Parents/guardians are responsible for picking up students’ bikes at the end of the day.